The party responsible for processing data on this website is: MWN Niefern Maschinenfabrik GmbH, Bahnhofstraße 51-53, D-75223 Niefern-Öschelbronn Germany, Telefon: +49 (0) 72 33/75-0, E-Mail: info@mwn-niefern.de . The responsible party is the natural or legal person who alone or jointly with others decides on the purposes and means of processing personal data. We have appointed a data protection officer for our company. 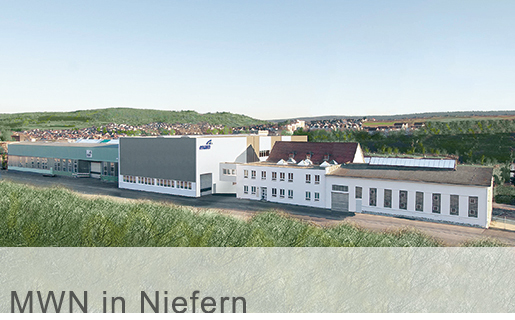 MWN Niefern Maschinenfabrik GmbH, Vera Muchenberger, Kaufmännische Leitung, Bahnhofstraße 51-53, D-75223 Niefern-Öschelbronn Germany, Telefon: +49 (0) 72 33/75-0, E-Mail: info@mwn-niefern.de .